South Haven is different in the fall. I really like it. We can move around town pretty easily and things are much more laid back. A co-worker and I had some down time while in town earlier this week. We probably could have even sat down for lunch somewhere but we were waiting on a phone call so we didn’t want to chance it. I was driving down Broadway and I saw a sign that triggered something. 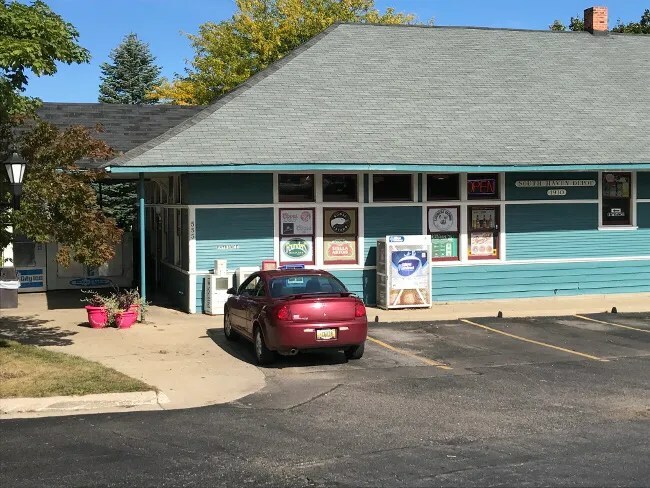 I thought I had remembered seeing something somewhere about a liquor store in South Haven that also has a pretty good deli. I pulled in to the parking lot of The Depot to check my phone and sure enough, it was the place I was thinking of. The Depot is pretty much on the curve where Broadway turns in to Dyckman near downtown South Haven. The entrance to the parking lot is right at the intersection of Dyckman and Williams Street. I don’t know if there used to be a rail line that ran through the area or what the deal is, but the building looks like an old train depot. The Depot takes up the larger building while an Edward Jones is in the smaller building to the west. The building is clearly a liquor store when you walk in. 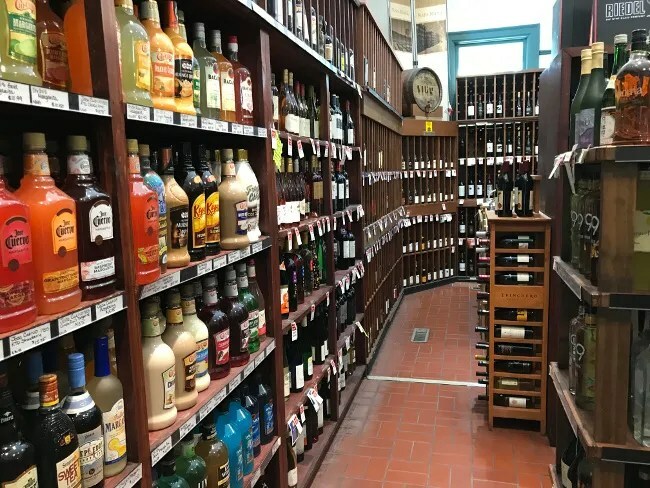 There are shelves upon shelves of liquor and wine with coolers in the back with local craft beers. I almost missed the deli and walked out. 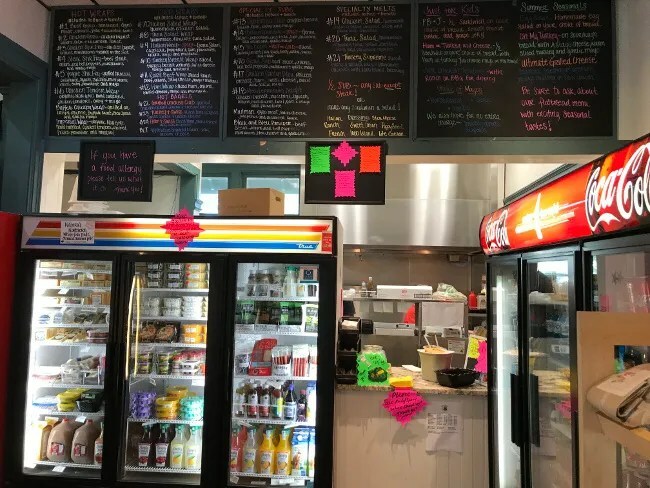 There is a small order window cut into a wall surrounded by coolers filled with non-alcoholic drinks. 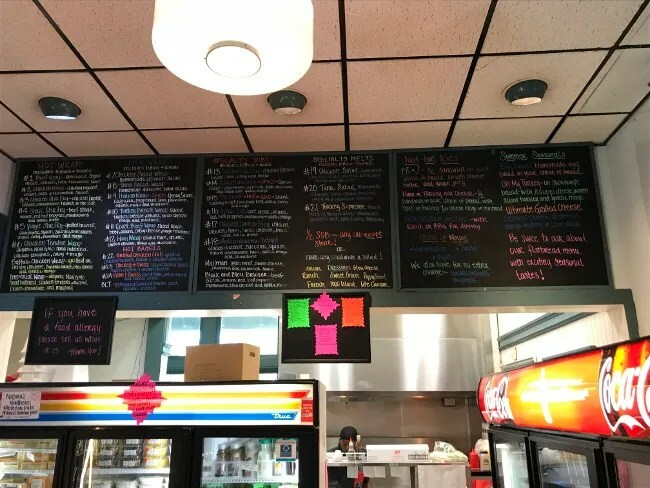 The menu is written in chalk and hanging above the order counter. It’s rather large with a lot of different options so it took me a few minutes to soak it all in and figure out what I wanted. When I was ready to order, a woman was standing there pen in hand ready to take my order. I picked the #9 Italian Wrap. The order taker took my name then handed me a slip of paper to take to the cash register at the front to play. It took less than five minutes for a man to come out of the kitchen and call my name then hand me a bag with my food. There’s no place to eat inside so I ended up just heading back to my car. My co-worker ordered after I did so he was still waiting while I just started eating while we waited. The Italian Wrap was really interesting. Instead of a tortilla wrap, it was a pita bread cut in half so there was no pocket. 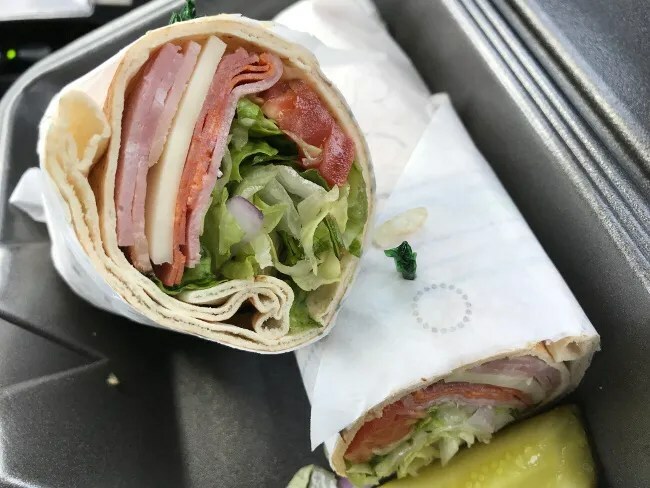 The pita was wrapped around genoa salami, capicola, pepperoni, ham, provolone, onions, mayo and mustard. I asked to leave the mayo off and they left off both the mayo and mustard and added tomatoes. Not a big deal, I could still pick around what I didn’t want although a little bit of mustard would have made this delicious sandwich even better. The sandwich set me back exactly $8 so it’s a really affordable, really filling, and really delicious option for lunch. I really didn’t know what to expect when we pulled in the parking lot. I was just looking for a quick bite to eat and wasn’t in the mood for fast food. 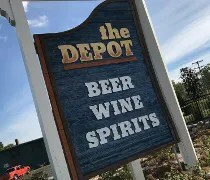 The Depot is an interesting place. 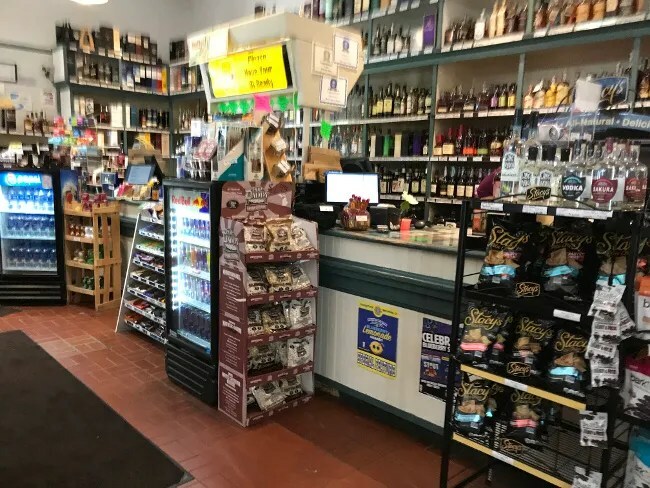 They’re going to have whatever alcoholic drink you want but they also have this little gem of a deli hidden behind all those glass bottles.